of-Valor-Soundtrack-150×150.jpg” alt=”” width=”150″ height=”150″ />I want to like this a lot more than I actually do. “For You” does well enough for what it is, even though the production is a bit overblown, in a Bryan Adams kinda way. Urban is typically sincere, and there are some good attempts at pathos. But the vast majority of the inner monologue takes place after the soldier has already fallen, and the intriguing beginning lines where he doubts the worth of his sacrifice delve too quickly into the predictable glorification (justification?) of love, duty, and honor. It makes the opening reference to his wife and unborn child feel tacked on. The song would have been more effective if the depth of his sacrifice was granted more weight in the lyric. By moving so quickly into what makes all soldiers heroic, the song loses sight of what made this specific one a hero. I like this. It’s the first time since the singles from Love, Pain, and the Whole Crazy Thing that I’ve felt fully engaged in a Keith Urban performance. I’m glad they chose to release it as a single. I saw the movie, so I feel like the song was right on the money of telling the story! I just remember at the end of the movie and when Keith’s song was playing, the audience was silent and then they all started clapping! The movie was powerful and to me, the song is too! I love the song. It’s a great song. You are being too analytical. I saw the movie and this song fits perfectly with what the movie is trying to depict! I love this song and the director and the Navy Seals think Keith and Monty absolutely nailed it and I agree! I like this enough, but I had hoped that they chose The Luxury of Knowing instead. I would FLIP OUT if “The Luxury of Knowing” were released as a single. But so far… no such luck. Agree that “Luxury of Knowing” is the best track on the “Get Closer”cd. Re “For You”, I agree that the production is overblown, even though I’m not familiar with the music of Bryan Adams. Less is more. What’s a B- to one is an A+ for someone else. In this particular video, it’s the sensitivity factor in the beginning that affected me. I could believe Keith seriously pondering over that question “Could I make that sacrifice?”. But that’s just my take on it. BTW, I absolutely loved that movie. Your argument for why you like it is not a good one. The “wife and child” line is not tacked on, it is Urban and Powell interweaving what they, and the soldiers would die for. I picked up on that pretty quickly. I think it’s one of Urban’s best lyrics to date. The arrangement builds and with it, the emotion of the song. I definitely think Urban and Powell outdid themselves here. And Urban’s actual performance of the song takes it to a whole new place. Each time I hear it,I am moved by it. He remains one of our best interpretive performers to date. Sorry,meant to say: “your argument for what you thought was weak about the song.” That’ll teach me to proofread. I for one, feel the lyric and movie matched perfectly… the total scarifice given is beautiful laid out in the lyric,… in a truly wonderful song, not over done in anyway… Perfect!! so I really think your review was totally off… Kudu’s to Keith and Monty!!! 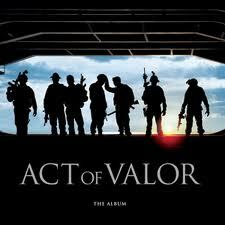 job well done on their amazing song “For You”, to match the job well done on the Movie “the Act of Valor”. I actually really like the dramatic production here. It feels appropriate.